When you link an Artica server to the statistics appliance, Artica enforce security. 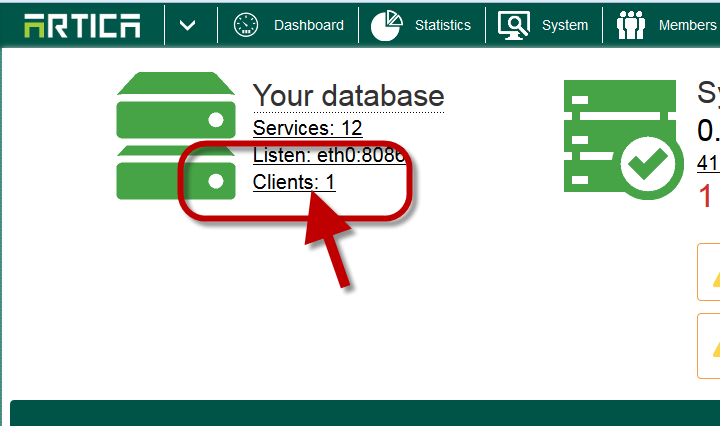 Click on the Clients number link on the dashboard. 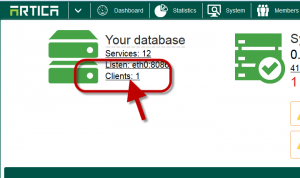 The Statistics Database clients section display the linked Artica servers to the Statistics Appliance. These clients are automatically added when you link a server.